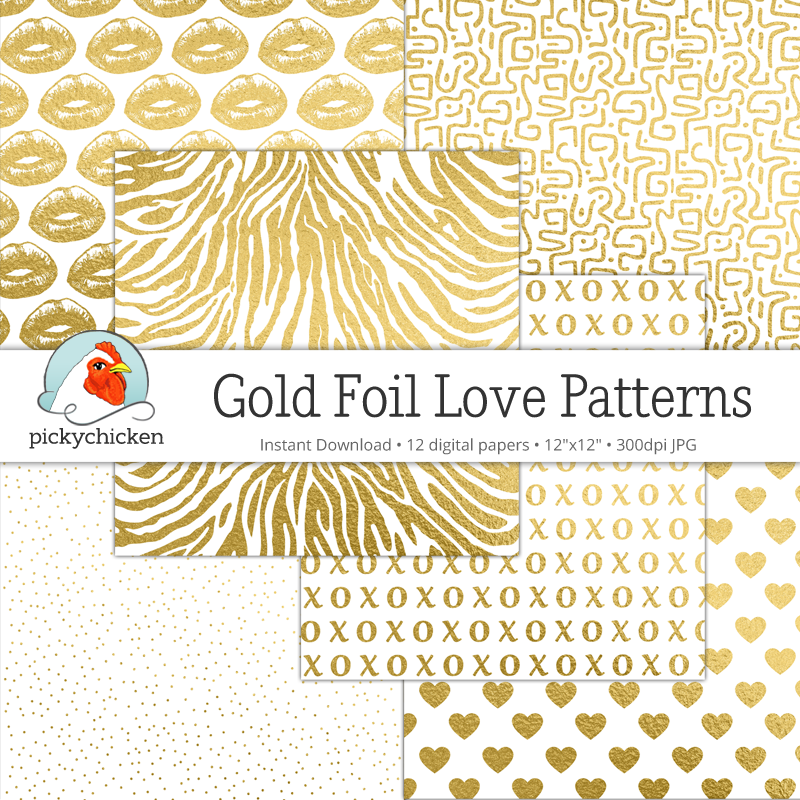 Need Some Gold In Your Life? 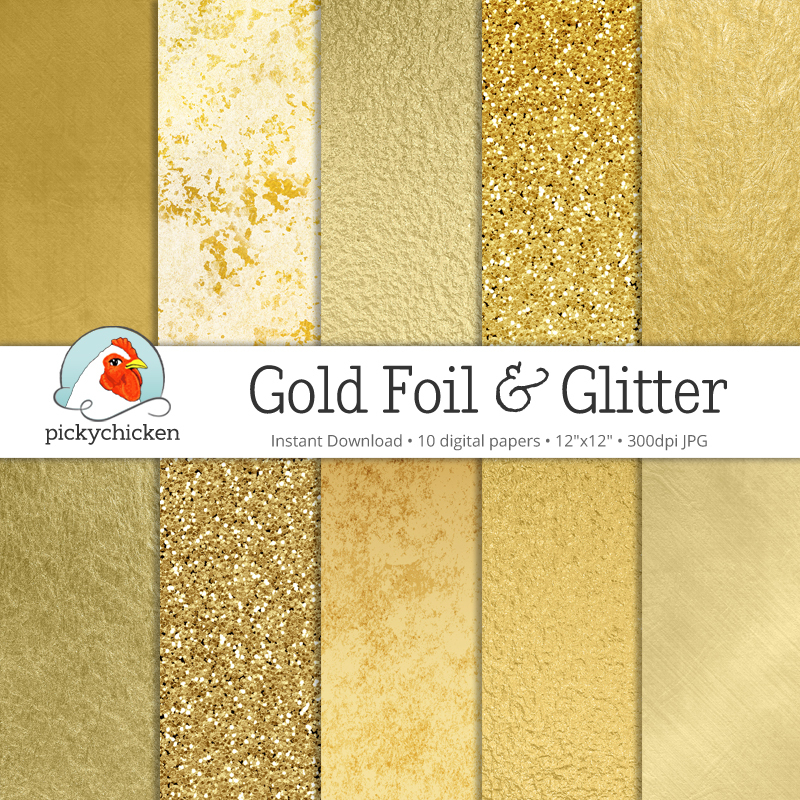 We have gold ... digital gold! 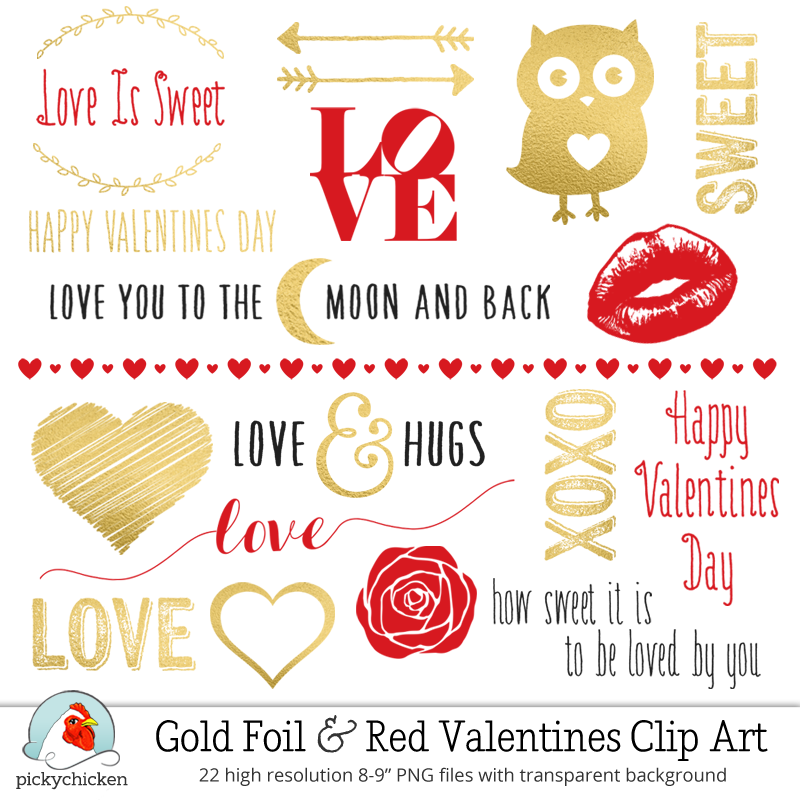 Gold paper, gold clip art, gold patterns and more! 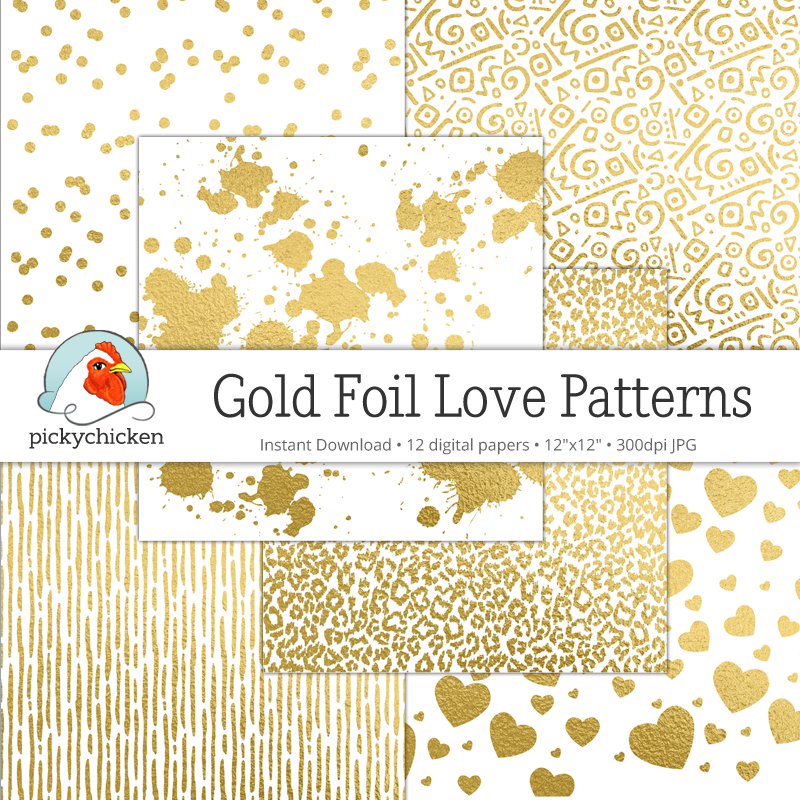 To start, there's a very popular Gold Foil Paper, which is a great, glamorous design resource for invitations, wall art, scrapbooking ... you name it. 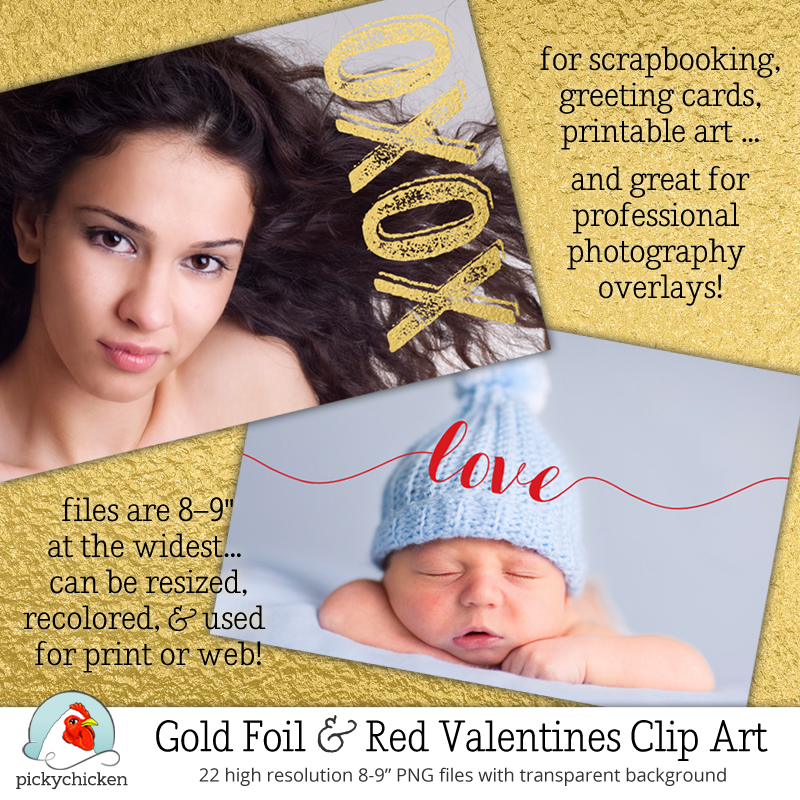 ... and it works wonderfully as a photography overlay - so add some glamour to your photos! 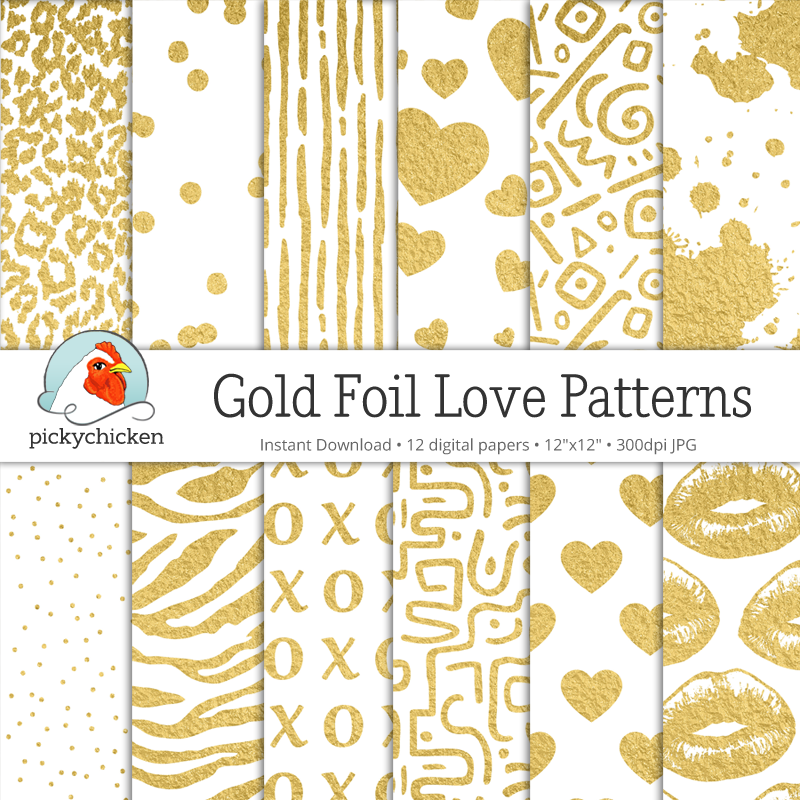 There are also some really fun gold patterns with a shiny gold finish: love, confetti dots, zebra, leopard, paint spatters, hearts, Valentines Day, lips, eighties, more! So have some fun and shine on!